If you're among the one million people who jumped into DC Universe Online since it went free-to-play, SOE has some new content for you. In the game's sixth update, titled The Deadly Double Cross, players will battle together with Superman and Lex Luthor against that double-crossing jerk General Zod. 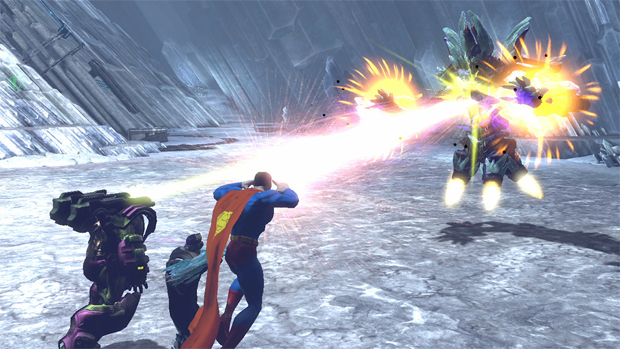 This will continue where the last update, The Fate of the Fortress, left off, bringing an end to DCUO's Fortress of Solitude raid series. The update will also introduces more gear like the Kryptonian Military weapons forged from Sunstone crystals. The Deadly Double Cross update is currently live as a free download for all players, regardless of membership level.